The City Livery Yacht Club was originally formed as the Yachting Section of the City Livery Club in 1956 by enthusiastic yachtsmen: to promote interest in yachting by means of discussions, lectures, cruising and racing; to develop close contact between those Members of the City Livery Club who were interested in the sea and ships: and to encourage the sport of sailing. The Club was recognised as a Club by the Royal Yachting Association in 1958. 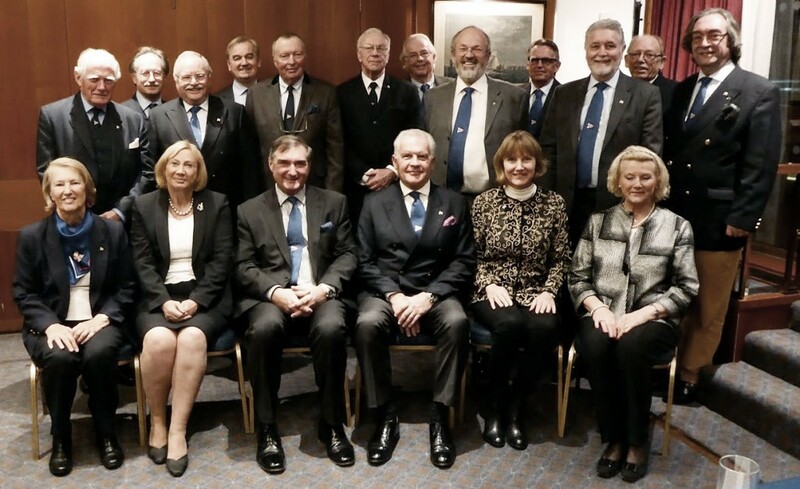 Management of the Yacht Club is vested in the Committee, together with a Commodore, Vice Commodores, Rear Commodores, Honorary Treasurer and Honorary Secretary, supported by the Admiral and Past Commodores. Mess dress was introduced in December 1969 and the Club was granted the power to issue Defaced Blue Ensigns to its members in 1977. In 1996, members of the Club voted to extend membership to all Liverymen of the City of London Livery Companies and members of The Guild of Freemen, without the prior qualification of being a member of the City Livery Club, whether or not they are yacht owners. They must, however, be interested in encouraging yachting. At the 2007 AGM, members voted to extend membership to persons who have been granted the Freedom of a Livery Company or a City of London Guild or Company without Livery and also hold the Freedom of the City of London, as well as introducing a Companion grade for the bereaved spouses or partners of members. The Club laid down another part of its distinctive ceremony in 2008, when a competition was held to find a special Club Toast to be used at our Dinners: the winner was “The City Livery Yacht Club – may she sail ever forward.” It was presented with a silver table decoration in 2007, in memory of Richard Walmisley, whose widow was then Commodore. The CLYC is a member of the Association of Thames Yacht Clubs, where it presents a trophy each year for third place in the boat handling competition (ATYC pennant). The record for the longest term as Commodore was held by Capt O M Watts – from 1966 to 1980, when he was installed as Honorary Commodore. The Club has historic links to the mayoralty of the City of London: Sir James Miller, Lord Mayor of London, was installed as Honorary Commodore in 1965. The role of Admiral of the Yacht Club was instituted in 1980, with Sir Robin Gillett being ‘promoted’ from Honorary Commodore. Sir Robin was a past Lord Mayor of London and a Brother of Trinity House. Sir Robin became Admiral Emeritus, a post he held until his death in April 2009. He was succeeded by Sir Clive Martin OBE, TD, DL, also a past Lord Mayor of London, who had earlier served as Commodore for two years. Sir Clive stepped down in December 2014 after seven years as Admiral and is succeeded by Admiral Sir Trevor Soar KCB OBE.